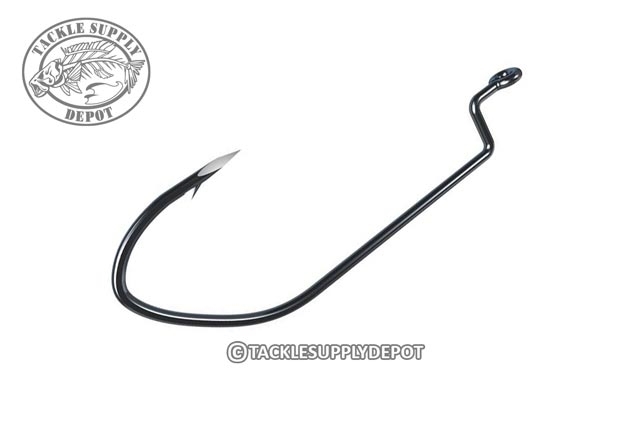 The Lazer Trokar Big Nasty Worm Hook features a significantly heavier gauge ultra-high carbon steel wire construction than the standard Lazer Trokar worm hooks meaning there is no fear of bending out even in the nastiest cover. The specially designed aggressive bend makes it much harder for fish to slip the hook as they are reeled in from the thick cover or deep water. When fishing heavy lines with heavy rods and heavy hooksets the Big Nasty Worm Hook is the perfect tool for the job.